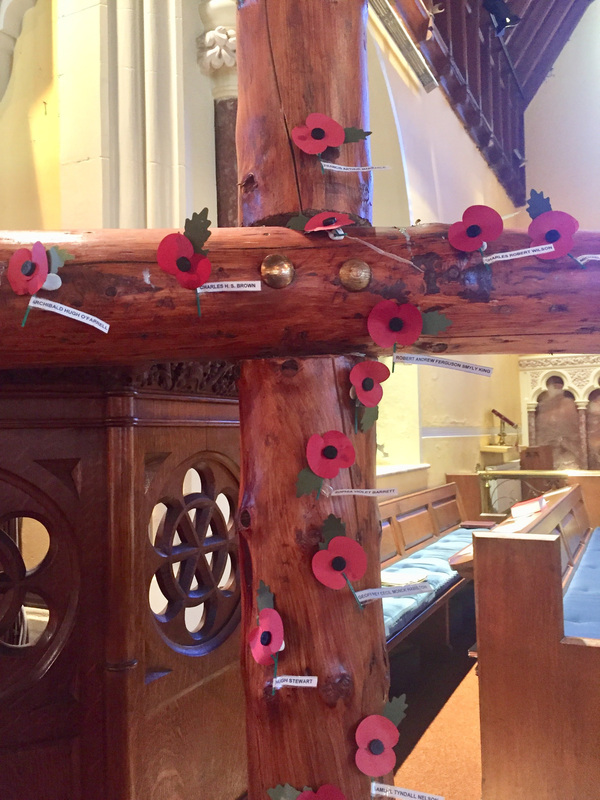 The Remembrance Sunday service on 11th November will live long in the memories of the large congregation. 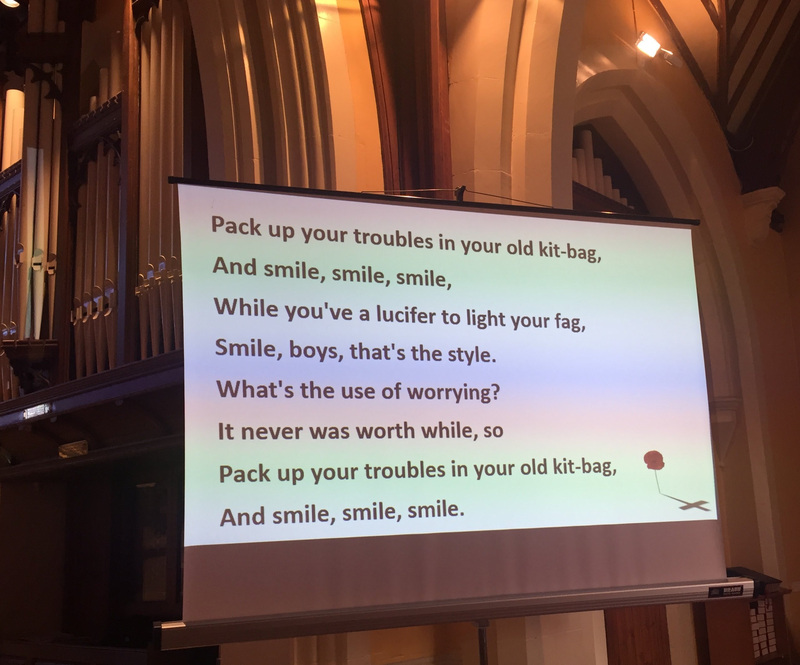 The stories of each of the 17 parishioners and associates who were lost in both world wars were read and a trumpeter played the Last Post and Reveille. (Thanks to Peter Lundy from the Steadfast Band). 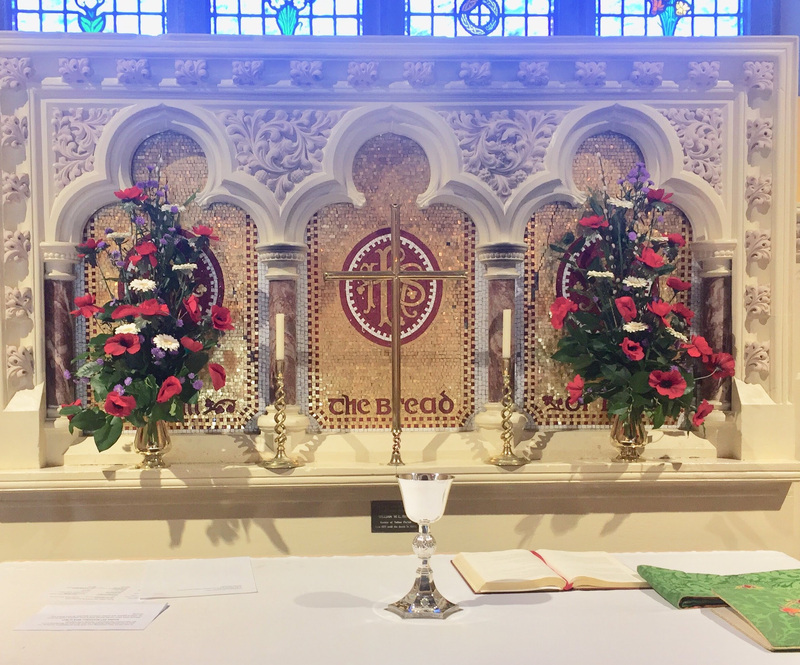 The carefully chosen hymns and prayers, as well as the beautifully arranged poppies on the altar and around the church, added to the solemnity of the occasion. A moving final organ piece preceded a rousing rendition of A Long Long Way to Tipperary /Pack Up Your Troubles. 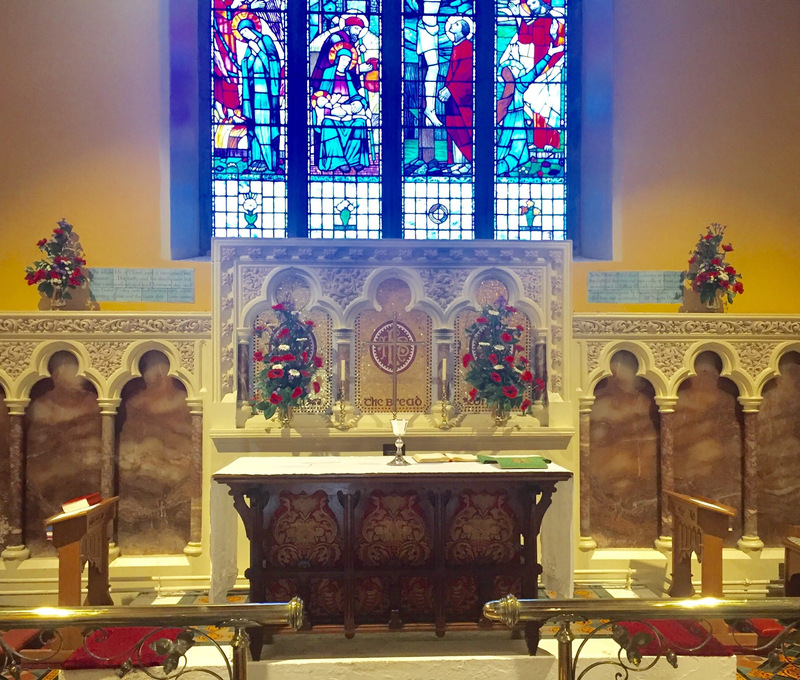 Parishioners, and the many visitors, also appreciated the post-service reception in the hall.